I know what you’re thinking… MLM company? But I started using doTERRA essential oils a couple of years ago, and have totally fallen in love with them. I had used another oil company years ago, earlier in my massage career. While I liked the oils, and all of my massage friends were using them, I was completely overwhelmed and didn’t really know what to do with them. There was no education or support, I was just kind of left to my own devices to figure things out as I went. I’m kind of embarrassed to admit the things I did learn… I melted some plastic containers that I had put a few drops of oil into for adding into my massages throughout the day. (I didn’t want to add the oil to my entire bottle of massage oil, so I thought this was a good solution!) 😂 I was coming down with a cold once, and could have sworn I had heard somewhere that a drop of protective blend on the tongue would ward off sickness. (BTW, it’s a really bad idea.) Of course, this was before the ever-connectedness of Facebook and all of these online resources that we have now. But long story short, I just got overwhelmed and felt like I didn’t have the time to learn all I needed to in order to safely use the oils. So I quit ordering oils, quit using them, and went happily along my massage career without much thought to them for several years. Then about 2 years ago, a lot of my clients started asking me about oils… and they seemed to expect me to not only have the oils to offer them, but the education, too. I realized they thought essential oils to be a natural adjunct to my massage business. So I honestly started delving into oils a bit simply to satisfy my clients’ curiosity on the topic. One of my clients brought me some doTERRA Deep Blue Rub. I thought “yeah, sure.. I’ll give it a try” but thinking it wouldn’t possibly compare to the products we as professional massage therapists have access to, right? Well, I was kind of blown away. I had actually tweaked my lower back the week before this, and was really struggling making it through a day of work. I had never really dealt with low back pain before (HOLY HELL is THIS what my clients have been talking about?!). 😂 But the Deep Blue Rub not only felt good on my low back, but made work bearable that day. I was pretty impressed. So I started using some of the oils in my practice and in my life, and next thing you know: I’m one of those crazy oil ladies. I was still afraid to really get too much into the company though, because of past experience with pushy salespeople in multi-level marketing companies. I didn’t think a MLM company could be in alignment with my values. But as I was directed to support and knowledge on the oils from my upline, I started to realize that direct sales is actually a great model for essential oils. Because there is education needed to know how to use the oils safely, buying them from a store or website might not be the best solution. Where do you go when you have questions? Who helps educate you on the products you just purchased? I liked having real people to take my questions to when they inevitably popped up as I started using the oils more. But I still wasn’t planning on selling oils to clients and certainly not signing them up for their own accounts. 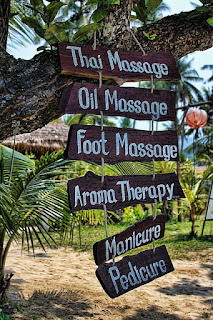 Mostly I was selling a bottle here and there, and creating custom roller bottle blends for clients as an added value to their massage. Some clients had such great results with the custom roller bottle blends that I made to address certain conditions they were struggling with, that they wanted to know more about the oils… and then they wanted to buy more, and wanted to sign up for their own account so they could just order themselves at the wholesale price. In fact, what really opened my eyes was when a client went and signed up under someone else because, out of fear of seeming pushy, I didn’t mention she could sign up under me. I realized my clients were thirsty for more information on oils, and that I could share that knowledge in a way that is natural to me that still aligns with my values and beliefs. Even if I’m selling a product from a MLM company, this is still my business - and I can do it in a way that works for me. Just like any other retail product that you believe in, you’ll be able to easily share it with clients and they will love what you love. Create custom roller bottle blends for clients based on their issues. First bottle is complimentary as a “thank you” for being my client. Refills or additional bottles are $20 a piece. I took a workshop to learn the doTERRA Aromatouch Technique and have that as an available add-on to all services. I add in complimentary aromatherapy in every session (if client desires). I diffuse oils in my studio and leave my office door open in between clients. Almost everyone comments on the wonderful smell drifting down the hallway. I give clients samples to try out at home. The Deep Blue Rub is a popular sample that oftens leads to purchases of the product. Clients love it for muscle aches. 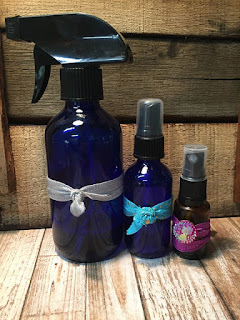 I use oil products such as a homemade lavender linen spray as a free gift when scheduling certain services (instead of discounting services or running specials). 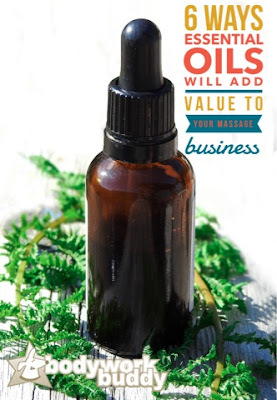 A few LMT friends started asking me about how I was using oils in my practice, so I started a FB group for massage therapists interested in incorporating doTERRA in their business. If you’ve been interested in getting into essential oils more, but have shied away from MLM companies out of fear of pushy salesmen, this group may be for you. No pushy up-lines, just me and some other awesome massage therapists talking about oils and our massage business! I’ve found that a lot of MT’s have been confused on the requirements for signing up for their own account and were under the impression that they had to spend at least $200 (or whatever amount) each month to keep their account active. That’s simply not true. There are a lot of different options, and I’d be happy to answer any questions you have about that if you’re interested. Pop on over to the FB group and let’s talk oils!